In October and November 2017, officers of the Penza branch of the Russian Federal Security Service (FSB) arrested six young men, aged twenty to twenty-seven. Some of the men were antifascist and anarchist activists. Arman Sagynbayev, Dmitry Pchelintsev, Ilya Shakursky, Yegor Zorin, Vasily Kuksov, and Andrei Chernov were jailed in the Penza Remand Prison. In December 2017, Zorin was transferred to house arrest, while the other men stayed in the remand prison. In January 2018, Ilya Kapustin, Viktor Filinkov, and Igor Shishkin were apprehended in St. Petersburg. All three men were severely tortured during their first days in FSB custody. Kapustin was released and identified as a witness in the case. Filinkov and Shishkin were named as defendants in the so-called Penza case and were sent to Remand Prison No. 3 in St. Petersburg, where they are currently in custody. According to federal criminal investigators, the accused men were members of a terrorist group known as The Network (in Russian, Set'), which was planning to overthrow the Russian government. The investigators have claimed approximately twenty young men from three Russian cities and, presumably, the Republic of Belarus, were involved in The Network. The young men have been charged with violating Article 205.4 of the Russian Federal Criminal Code, i.e., "organization of and involvement in a terrorist group." The Network never engaged in any public actions. All that is known is that the accused enjoyed playing airsoft and role-playing games, practiced surviving in rugged conditions, and went on hikes. In the past few years, the Russian Federation has adopted a number of laws significantly restricting fundamental rights and freedoms. Some of these new laws undermine the guarantees of the right to freedom of association-in particular, by introducing concepts such as 'non-profit organizations performing the functions of a foreign agent' and 'undesirable international and foreign non-governmental organizations'. Being branded a 'foreign agent' or 'undesirable organization' leads to substantial restrictions or, in certain cases, a total ban on activities, heavy fines and potential criminal charges. "On 8 May 2013, the Moscow City Prosecutor's Office submitted Citation No. 27-29-2013 to the non-governmental organization (NGO) Foundation for Assistance in the Protection of Citizen's Rights and Freedoms "Public Verdict", initiating an administrative case in.relation to alleged violations of Federal Law of 12 January 1996 No. 7-FZ on Non-profit Organizations and Article 7 of the Federal Law of 29 December 1994 No. 77-FZ on the Legal Deposit Copy. The publication of the report submitted by this organization to the Committee, and posted on the Committee's website, was cited among the bases for the charges". 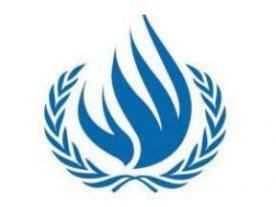 This Report is submitted to the UN Committee against Torture within the framework of its examination of the Russia's Fifth Periodic Report on implementation of the Convention against Torture. The Report is aimed at comprehensively tackling the issues of observing in Russia the rights enshrined in the Convention and at drawing the Committee experts' attention to the most burning problems in the sphere of these rights realization, which have not been reflected in the Russian Federation Report. 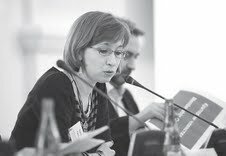 Intervention by Natalia Taubina, Public Verdict Foundation: "I would like to bring your attention to the fact that over the course of the reporting period in the Russian Federation several reforms were initiated: Interior Ministry, investigative bodies, the penal system, reform in military, and although at the moment reforms continue, intermediate results seem to be possible". Aside from participation in "mass riots", Mikhail Kosenko is being charged with the use of violence endangering the life or health of a representative of authority ( Article 318, Section 2, of the Criminal Code). However, the evidence gathered by the investigation is extremely weak. All the video recording shows is that Kosenko held the police officer by the hand without landing any blows or doing anything dangerous. I have in front of me a report released by a committee of forensic psychiatrists who conducted an outpatient competency evaluation of Mikhail Kosenko. The report's findings, judging by recent information in the press and the logic of the document itself, became the main reason why the court decided to institute separate proceedings against Mikhail Kosenko. "At present, we can only judge the new Minister on what he has said to the press. It's true that he says that the reforms will continue, noting that the legislative basis for the reforms has now been created, so it is time to adjust the structure. By the looks of it, he has some organisational decisions in mind, which will allow the situation within the Ministry of Internal Affairs to improve".